Cambridge celebrate victory in the men’s race. Cambridge - Who included double Olympic champion James Cracknell - beat Oxford for the second successive year to win the 165th Boat Race. Holding off a late Oxford push, the Light Blues crossed the line in 16 minutes 57 seconds - just two seconds ahead of their opponents. Earlier, Cambridge won the women's race by five lengths to seal their third victory in a row. Cracknell, 46, said it made him realise he "missed" the sport. He is the oldest person to compete in the Boat Race, and told BBC Sport: "I surprisingly did not regret my decision to do this at any point in the race. "At the start I thought, 'I've missed this, I haven't felt this for 20 years'." Early in the race, the boats clashed blades as Cambridge steered across the centre line, before they opened up a two-length lead. Oxford narrowed that gap towards the end of the race, finishing less than one length behind. Matthew Holland, Cambridge's cox, said victory was "indescribable". "This is a year of training, a year of hard work. The guys have put so much hard work into this," he added. 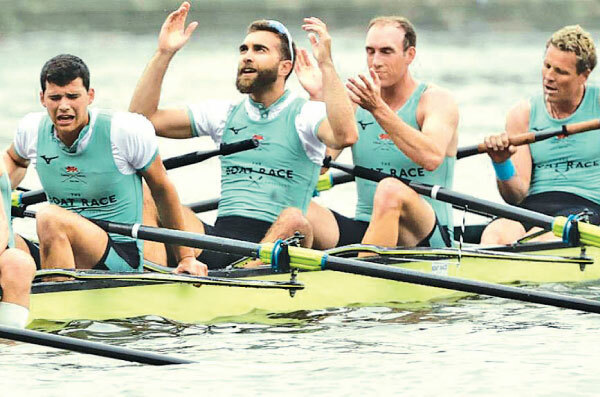 Cambridge have now won 84 Boat Races, compared with Oxford's 80, and with one dead heat. It was the first time they have achieved back-to-back victories since 1999. 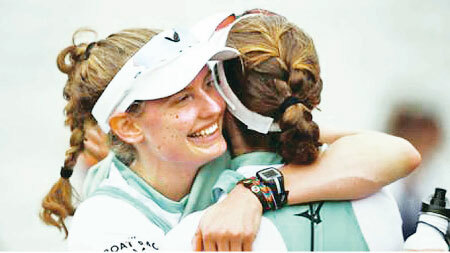 Victory in the women's race was Cambridge's 44th; Oxford have won 30. The Light Blues finished in a time of 18 minutes 47 seconds, 15 seconds shy of the women's record. "This is so special; we have been working towards this for two years," Larkin Sayre, the Cambridge boat captain, told BBC Sport. "This is the culmination of so much work."